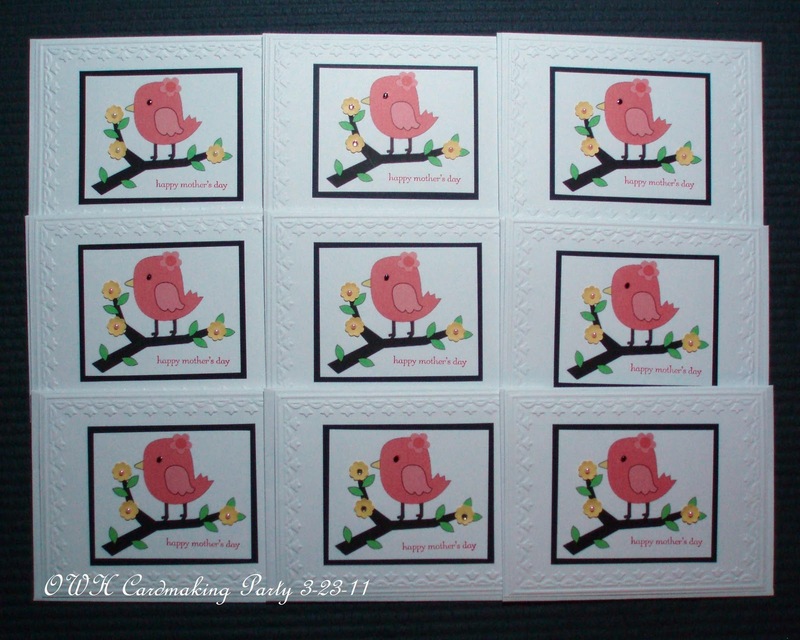 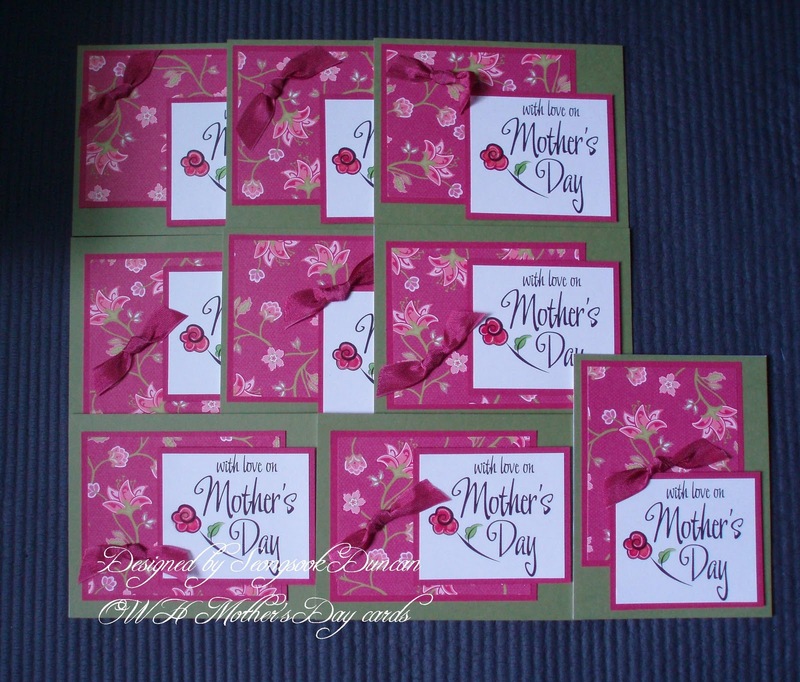 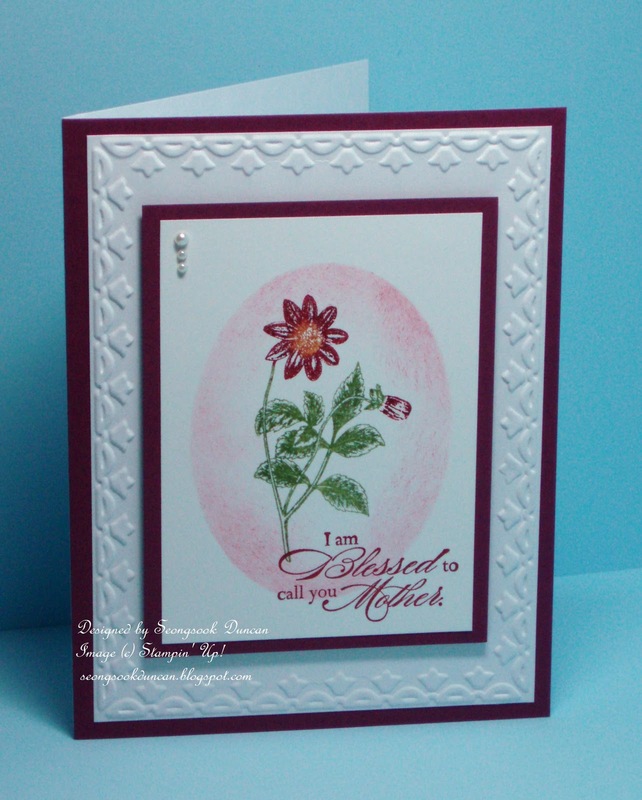 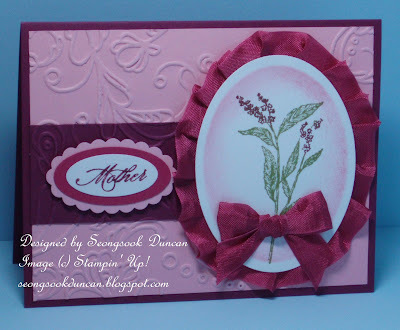 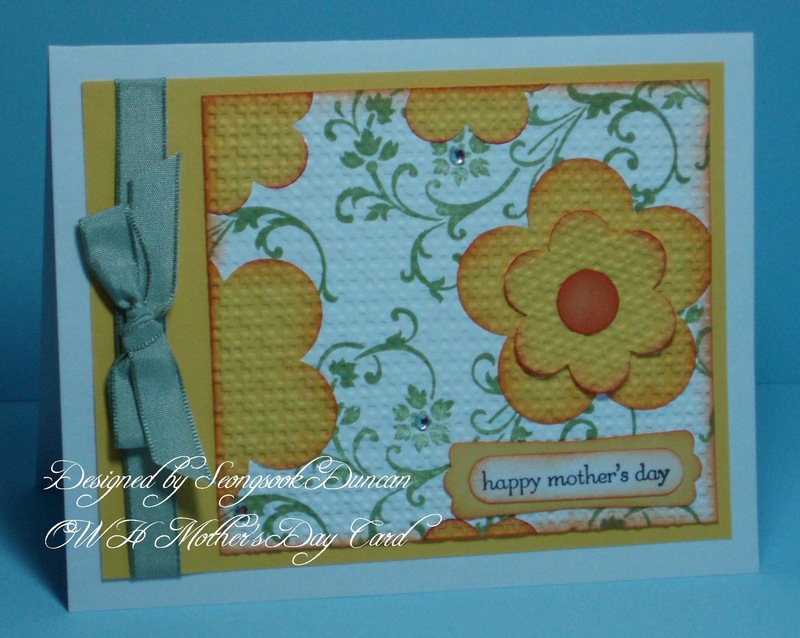 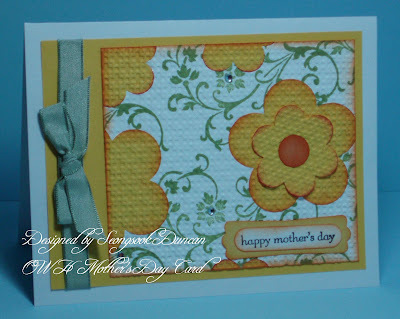 These Mother's Day cards are included in a box of cards that is ready to ship on Monday morning. 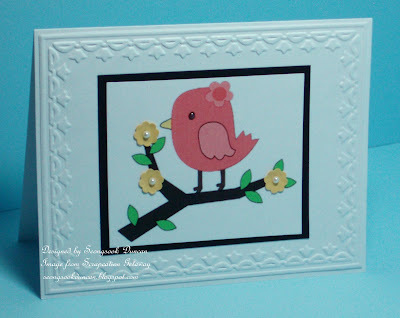 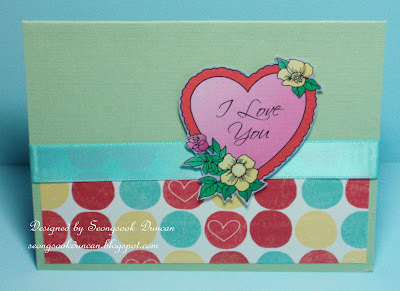 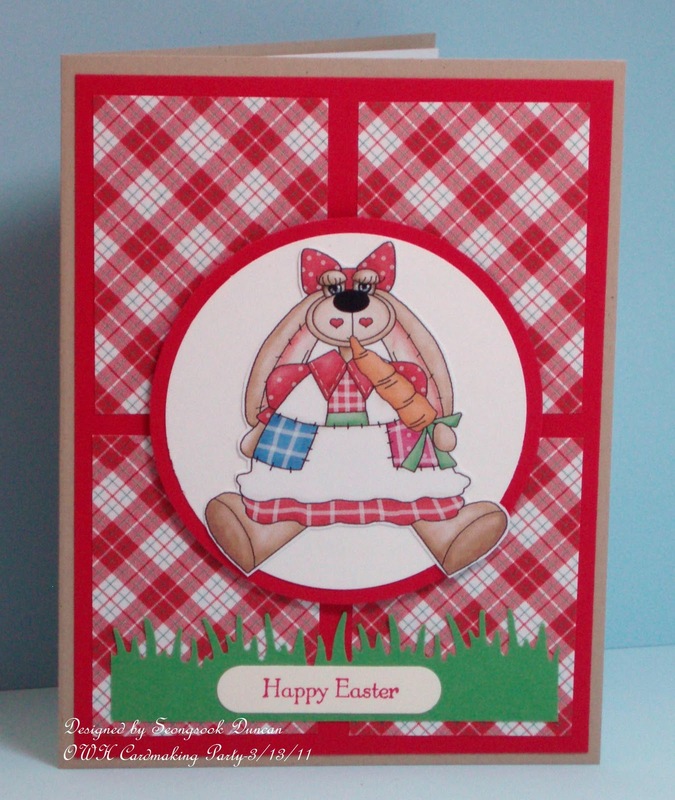 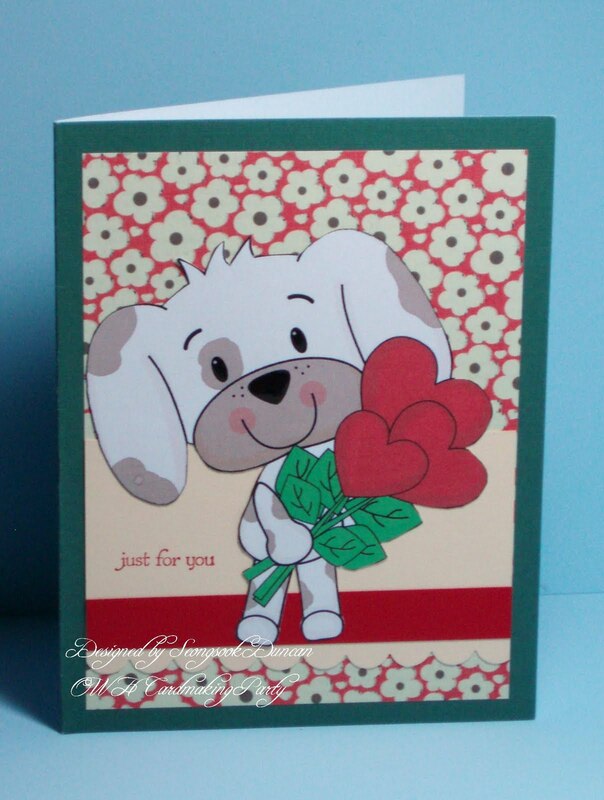 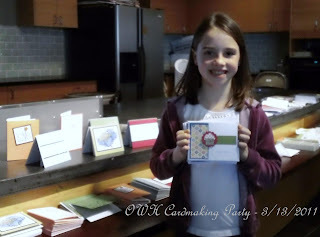 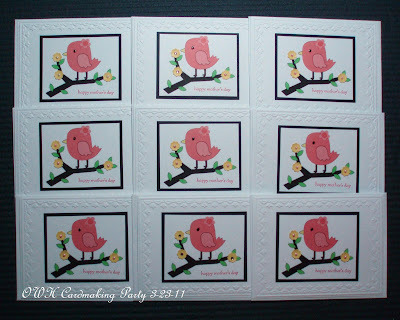 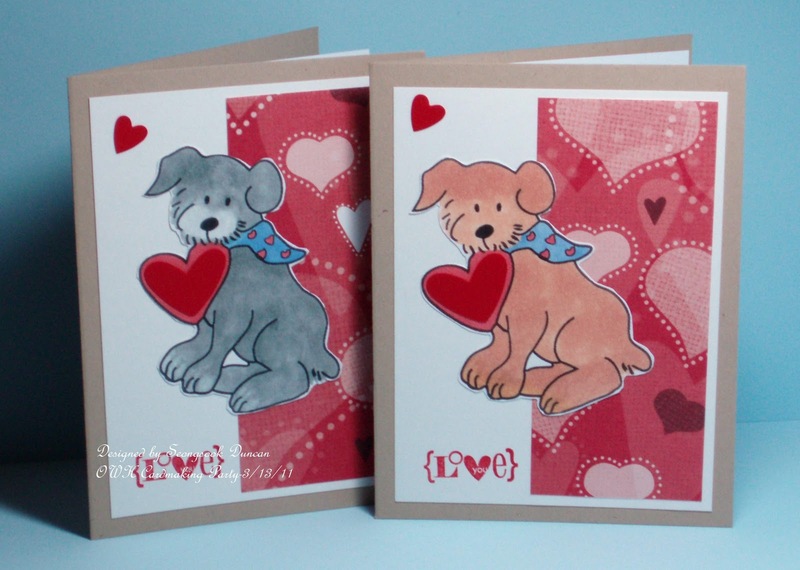 I want to share some photos from the OWH Cardmaking Party on Wednesday, March 23rd during lunch time. 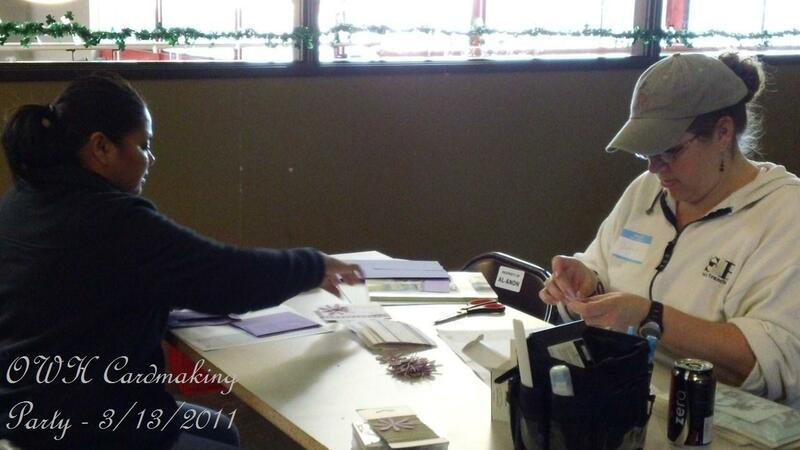 Thanks to all who participated in including those who were with their spirit. 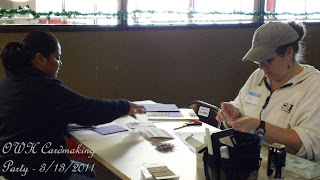 Thanks to all who helped me prepare card kits beforehand. 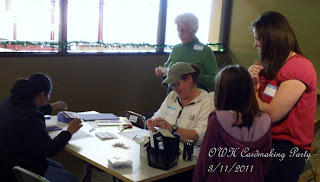 It was a great help and support. 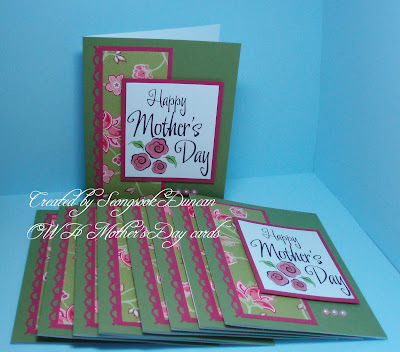 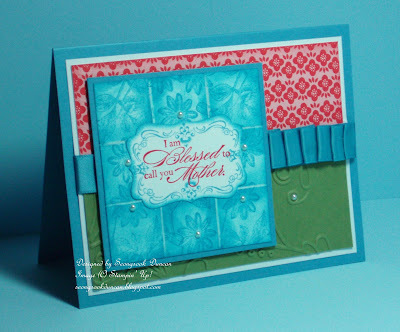 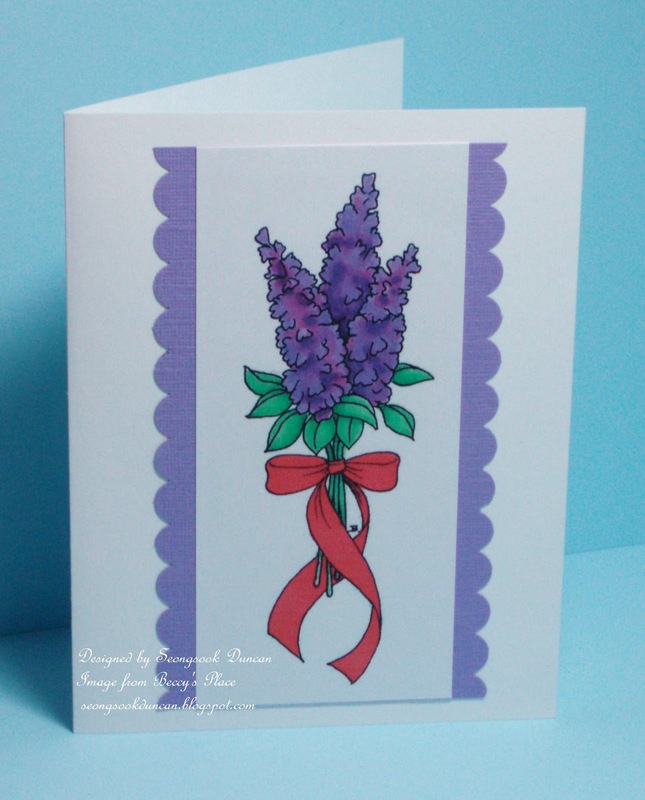 By now, you will know how much prep time is involved for this project apart from the card supplies. 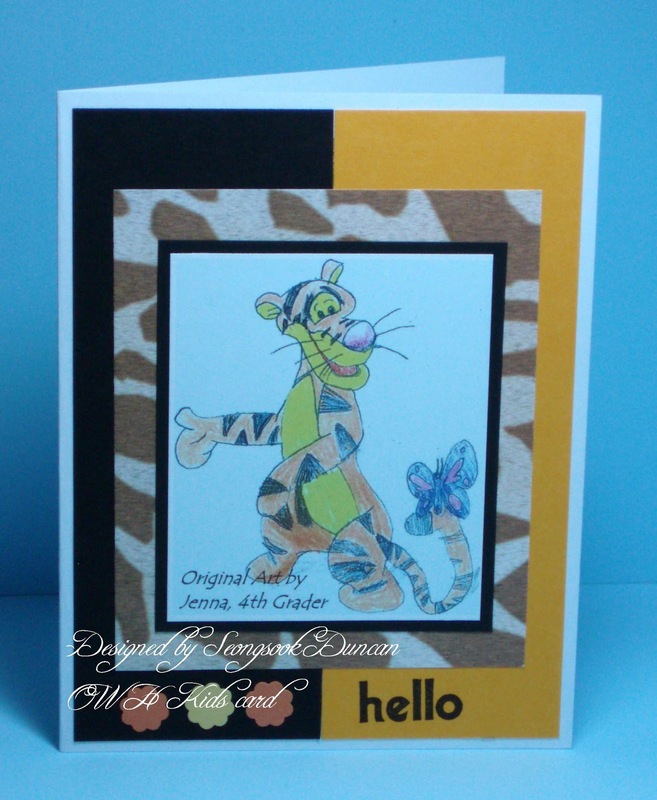 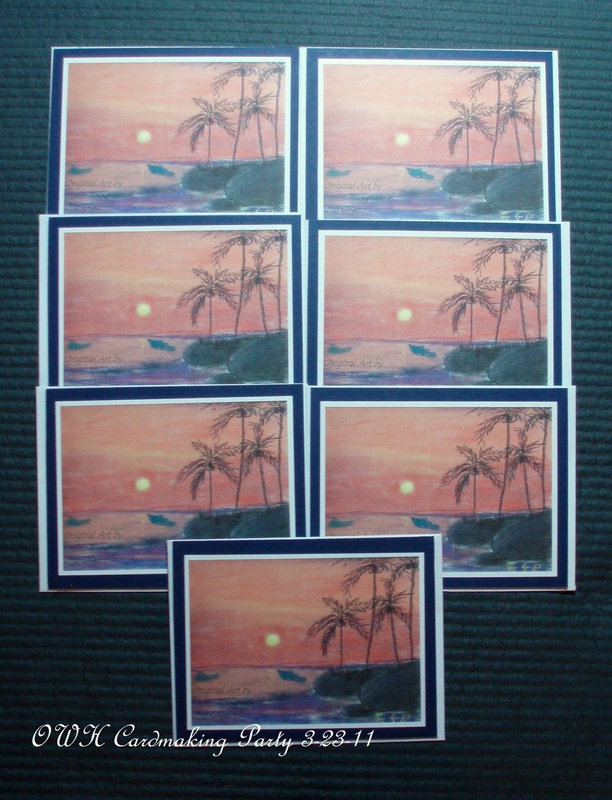 Just for a note, the Tigger card is made with an original art by Jenna, 4th Grader (Debbie K.'s friend's daughter) and the Sunset and the Hibiscus flowers cards are made with original arts by Lanni Zhou, 2nd Grader (Yan G.'s daughter). 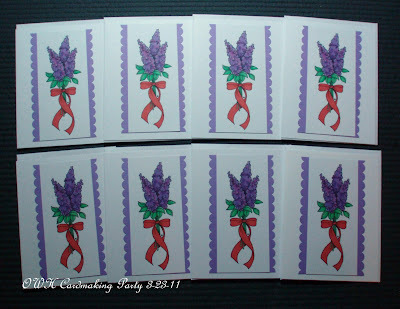 Thanks to them for allowing me to use their wonderful arts! 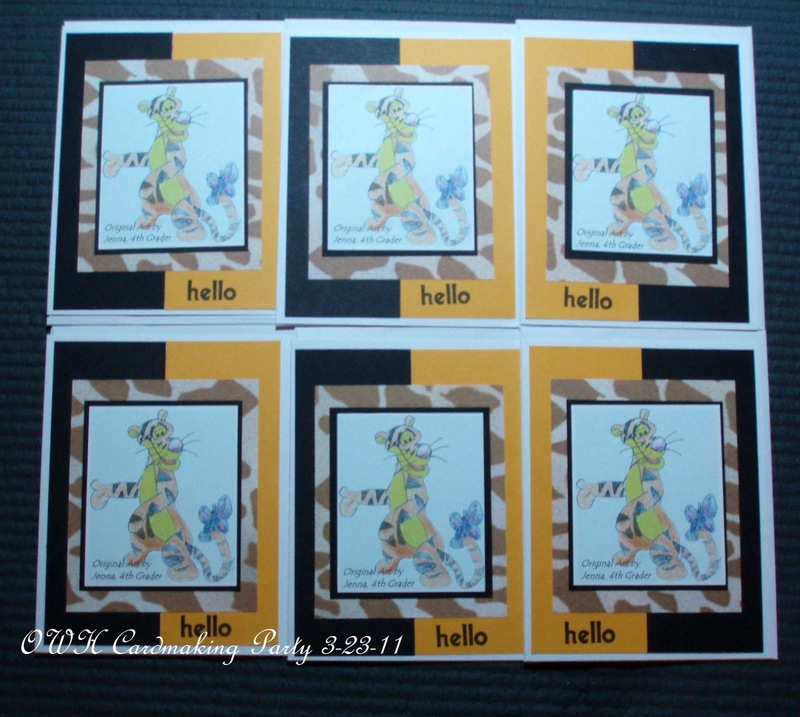 Kids of the troops would enjoy them for sure. Thanks again and have a blessed day! My mother passed away when I was 14 years old. 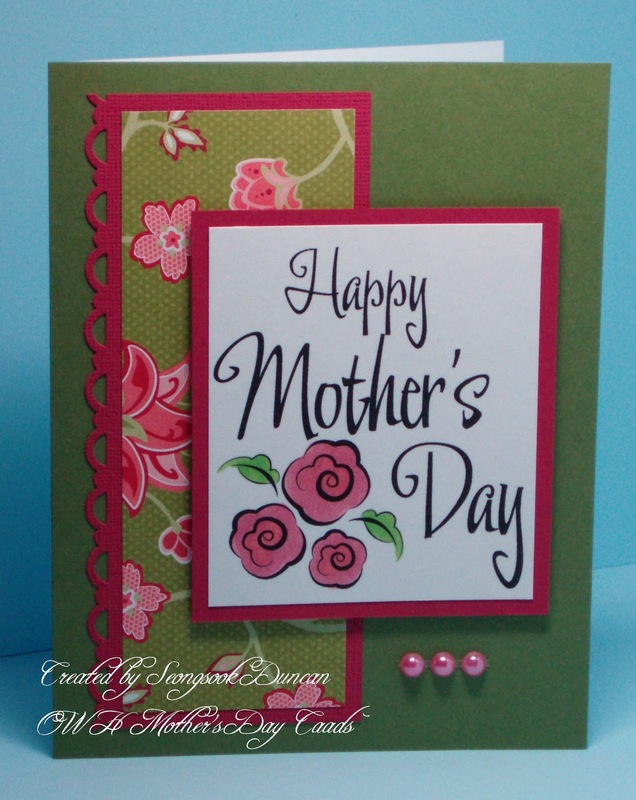 Ever since I have nobody to call Mother. 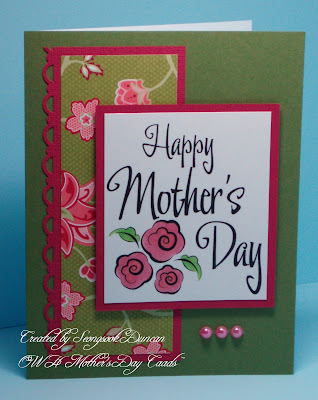 Although there is someone like mother to me. 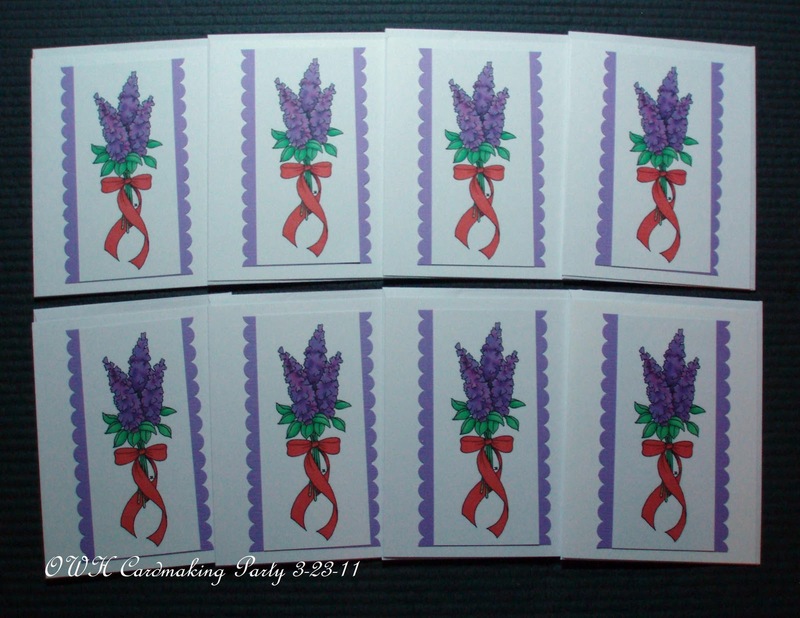 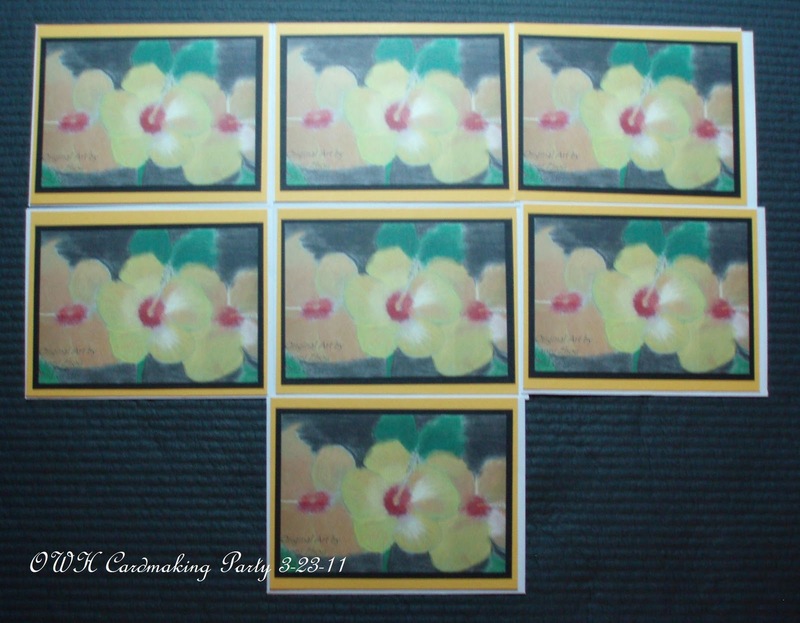 After the OWH Cardmaking Party... what was I doing? 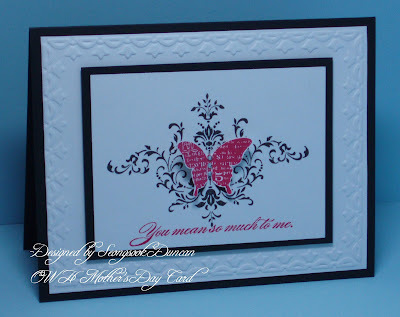 Also I added the sentiment on those cards that will look better with it, stamped background images such as little stars in different colors and coated eyes and noses of animal images with Crystal Effect to glaze them. 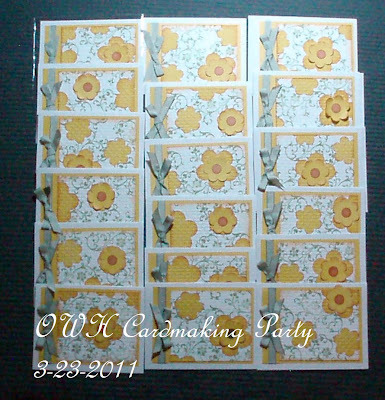 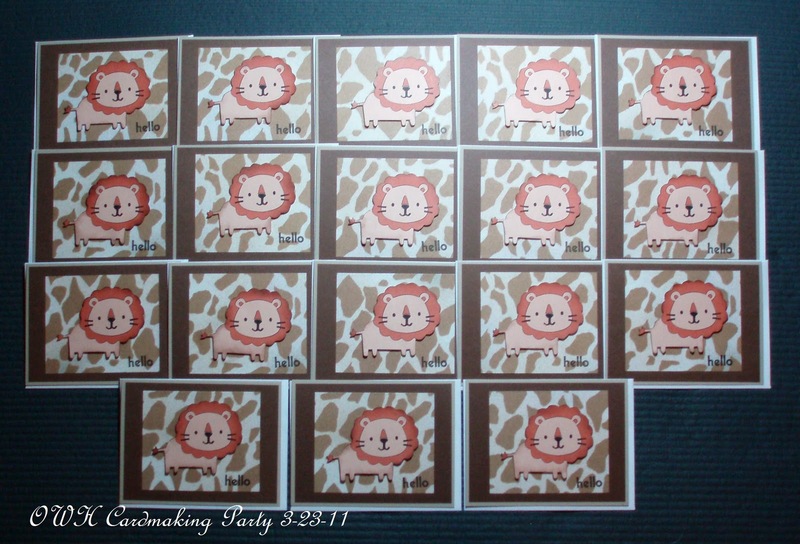 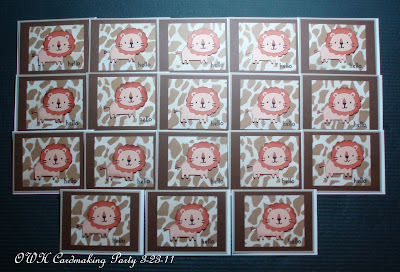 In the photo below, you will see what was I doing after the OWH cardmaking party. 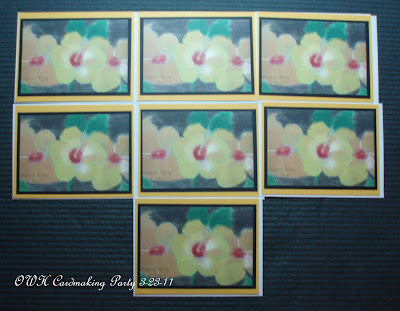 I have boxes ready and I put in the cards good to go by the theme. 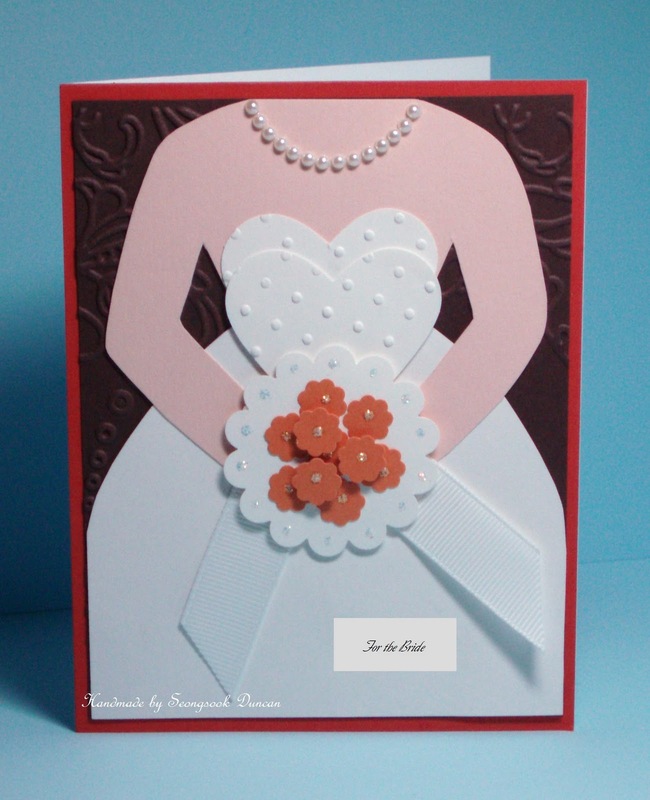 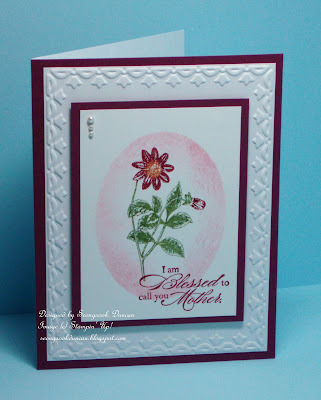 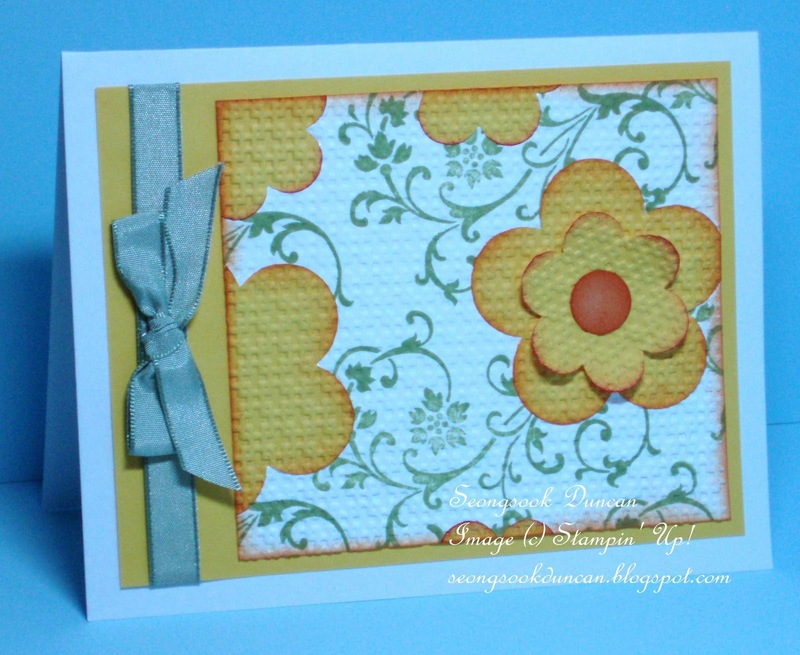 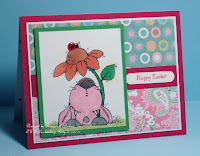 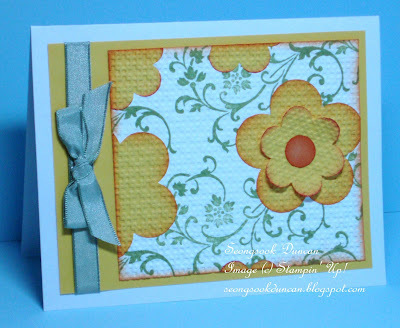 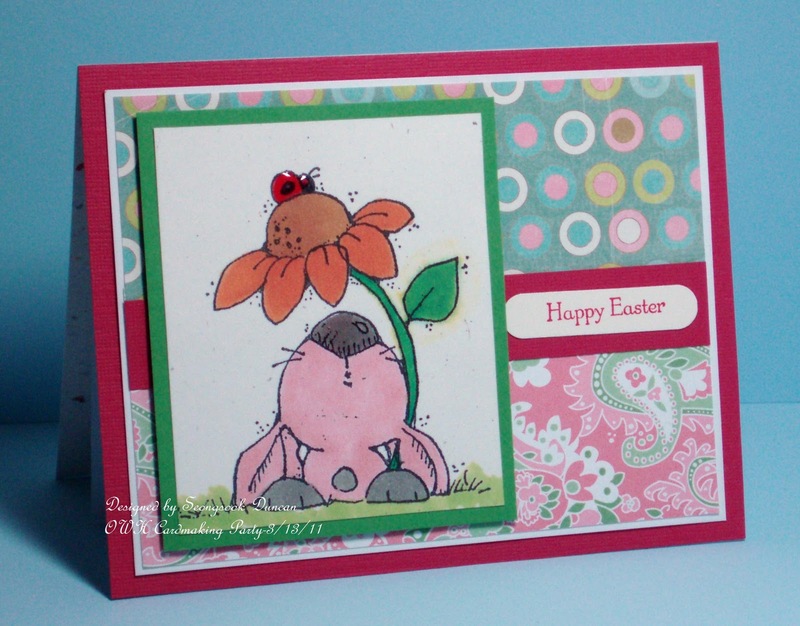 I used a template For the Bride card created by Jenine Tinklenberg that I found at the Dawn's Stamping Spot. 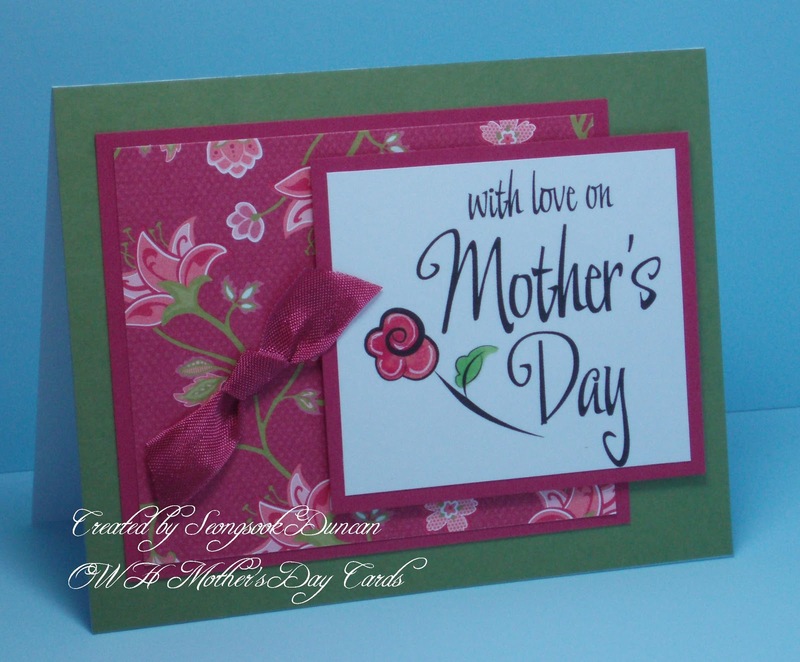 Thanks to Carla, Susan, Kathy, Sandra, Karen, Janet Q., Alison, Caro Lou, Patricia, Shannon for coming to the OWH Cardmaking Party today. It was a great day! With so cute cards from Caro Lou, beautiful elegant cards from Patricia, great card kits from Carla, Shannon and me, we made total 275 cards. 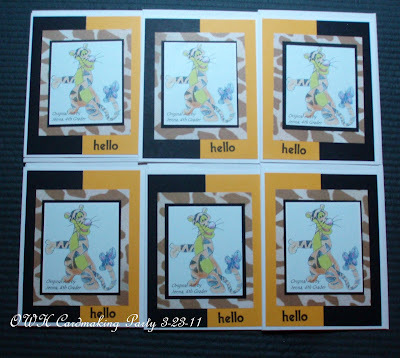 Here are photos that I took to share with you. 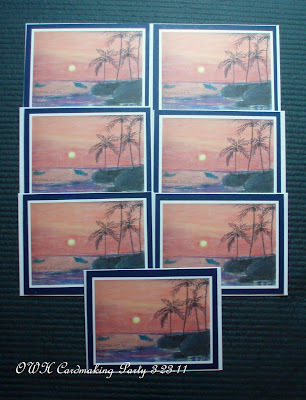 Hope you will enjoy them. Alison is holding a Cupcake Happy Birthday card that she made with her mom's help. She punched out cupcakes and scallop circles. 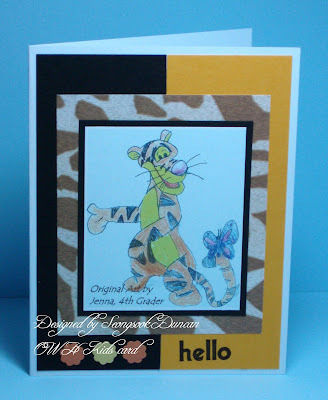 She even drew comics for a hero and inserted in her Any Hero thanks card. 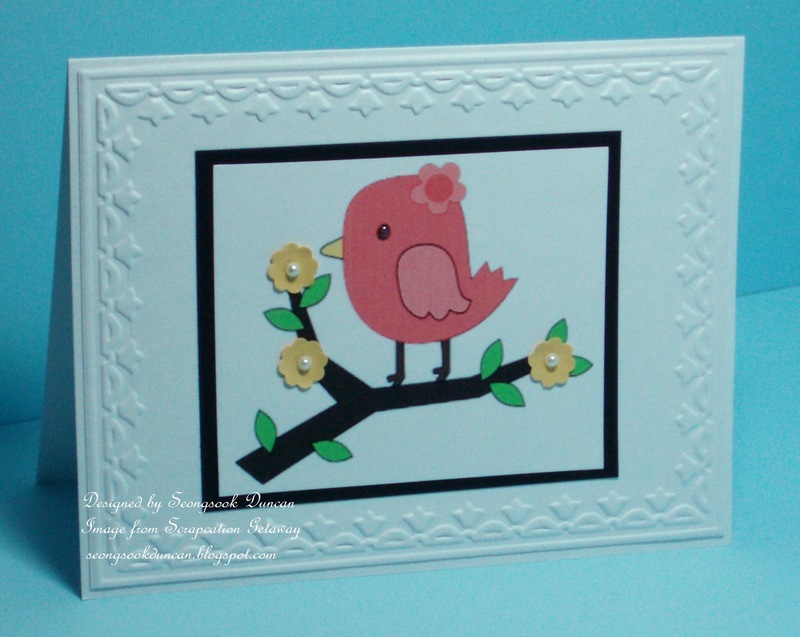 She is such a good help and creative sweet girl. She made a treat for everyone, too. 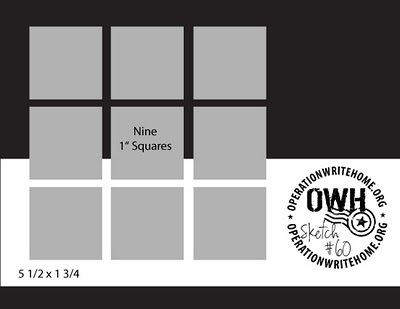 By the time I took a photo, it was almost gone.